I am sick to death of morally bankrupt politicians telling me what and how Americans are feeling. First of all, I am not scared of being killed by terrorists. I was not scared after 9/11 and I’m not scared now. Here’s why: I do not think that my life is worth any more than anyone else’s on this planet. I do not think that I should be exempt from catastrophe and that the millions of people who deal with natural and manmade disasters on an almost daily basis shouldn’t be exempt. I never say “There but for the grace of God go I” because I don’t believe that God causes bad things to happen to other people but not to me. I never say, “See you tomorrow, God willing,” because I don’t believe God might decide to “take” me overnight or to “take” the other person and not me. Human beings cause bad things to happen to people; human beings take lives. Human beings foment disasters. Human beings create situations in which toxins invade people’s bodies and cause cancer and other diseases. God does not. Human beings pervert religious ideals to the point of needing to erase the lives of people who don’t agree with them. God does not. God loves. God loves with a vastness that is hard to fathom until you feel such love yourself for another human being. Even then, we can feel only a small part of it. I reverence life, all life, on this planet. But what I’m feeling now is that I would give my life if it would save one Syrian child and bring that child to a haven where the child could heal and grow up and live a life without terror. 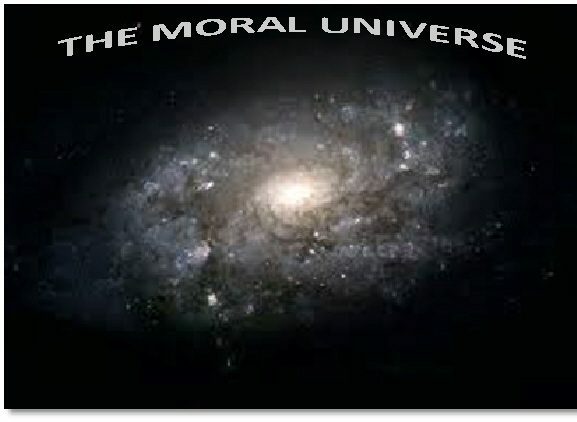 How dare you, Trump, Bush, Huckabee, Cruz, Baker, Fox News, Tea Partiers – how DARE you say that the United States has lost its moral compass when it is YOU who have torn that compass from its binnacle and tossed it overboard? I say, You are terrorists also, and you do the same amount of psychic and spiritual damage that ISIS does physically. Your fear-mongering, your hate-mongering, your greed and your corruption have poisoned this country almost to the point of making it beyond recognition. In my anger, though, I have some hope because I do believe that love will win. We saw it in the aftermath of 9/11; we saw it in the aftermath of Paris; love saves and love wins. There are a whole lot of people out there who agree with me, and we’re standing up and shouting it out. Neither American nor Middle Eastern terrorists understand this, no matter what they profess. They don’t know what love is; they only know hate and fear. Sorry, folks, you are going to lose. In many ways, you’ve lost already. Delores Jones-Brown and Jamie Williamson know of what they speak. In effect, I spent the weekend with these women, 7 hours with Ms. Williamson at a Massachusetts Commission Against Discrimination training on Saturday and a couple of hours with Dr. Jones-Brown Sunday at a Black Lives Matter lecture. I was glad to have something useful to do this weekend after the horrific news on Friday of the attacks in Paris. The more work there is going on for, as I believe, the good of humankind, the more evil will lose in the end. Perhaps more pointedly, I do fear that when such attacks take place, the right wing in this country will take an even harder line against anybody they perceive as different. Amid praying for people whose loved ones are known to be dead and for people who are trying to find out whether their loved ones are dead, I see the evil ripple effects that an Isis attack anywhere will have on this country. So spending a weekend immersed in justice issues and reaffirming that, yes, black lives matter, was healing in its way. Ms. Williamson is chair of the MCAD. The training was an initial introduction to the work of doing intakes for the MCAD and learning many of the nuances behind what both complainants and responders say in order to determine whether probable cause exists. The full training can’t possibly happen in one day, but it was an excellent dip in the controversial waters of a discrimination complaint and all that has to happen before a determination can be made. The chairwoman is one of the liveliest people I’ve ever met. She talks at about 80 miles an hour, interspersing her comments with amusing anecdotes or not-so-amusing tidbits about what it was like to grow up black in Pittsfield, Massachusetts. In 1995, Ms. Williamson became the first African-American to serve on the Pittsfield City Council and the first African-American to serve at-large. Yes, that’s right, a mere 20 years ago, no African-Americans had served on that city council until Ms. Williamson came along. A graduate of Smith College, she was graduated from Smith College, she is the former executive director of the Massachusetts Fair Housing Center in Holyoke and since 2005 has served on the Access to Justice Commission, appointed by the Supreme Judicial Court of Massachusetts. Dr. Jones-Brown came to the Berkshires at the invitation of the Berkshire Human Rights Speaker Series, which this year chose Black Lives Matter as its theme. A former New Jersey prosecutor, she is a professor at the John Jay College of Criminal Justice, City University of New York. The title of her talk was “The American Cop-Out: Police as the (Re)New(ed) Form of Social Inequality. “We’re back in a place we thought we’d left behind,” she began, referring particularly toward police violence against black and brown males. Dr. Jones-Brown teaches and works with many policemen and said that she knows some fine people in law enforcement. The issue of police violence, however, is tainting the good cops at the same time that young men of color are being singled out by the bad ones. She spoke in detail about the two methods of policing adopted by New York City police commissioners: “Stop and Frisk” under Commission Kelly and Mayor Bloomberg and “Broken Windows” adopted by Commissioner Bratten and Mayor DiBlasio. S&F was an overtly racist method, whereupon NYC police were not only allowed but encouraged to stop anyone of color. That included children who lived in projects where the police had a presence. Broken Windows is supposed to be based on the idea that if someone commits a small crime, they will likely one day commit a serious crime. However, the list of things for which someone can be stopped under this theory is laughable and has absolutely no connection with any statistics on who commits homicide: 1) riding a bicycle on the sidewalk; 2) carrying an open container; 3) urinating in public; 4) having marijuana in public view; 5) jaywalking. How many of us could be stopped for at least three of these if not more? Dr. Jones-Brown profiled the police departments in some cities that she things gets things right, including San Diego, Houston, Orlando and Detroit. With community-based programs, the police not only get to know the people in the areas they patrol, but they help them and are often helped by those people. She gave a lot of statistics to support her point of view, about which she has written numerous articles, a book (Race, Crime and Punishment), and lectured on. One of the most impressive was through a study done by the New York State attorney general’s office. Of 2.5 million stops of pedestrians from 2009 to 2012, only 150,000 arrests were made. Of those arrests, half the cases were dismissed. Of the remaining cases, less than .10% were because of violent crime. So 2,425,000 people (though possibly the same people were stopped multiple times) were harassed by the NYC police for no good reason. That is a powerful lot of psychological trauma being created. The answers aren’t easy, but there are groups trying to turn the situation around, she said. Cure Violence (www.cureviolence.org) is one. She also suggested becoming familiar with New York’s Right to Know Act, through which a policeman actually has to introduce himself, and she gave www.policeandcommunity.org as a resource. Both Ms. Williamson and Dr. Jones-Brown are younger than I am by a fair amount. It made me feel so hopeful knowing that strong women with strong messages are out there and have attained positions where they have influence and the authority to get their message out.